Car driving / falling off of a cliff - will it land upright? 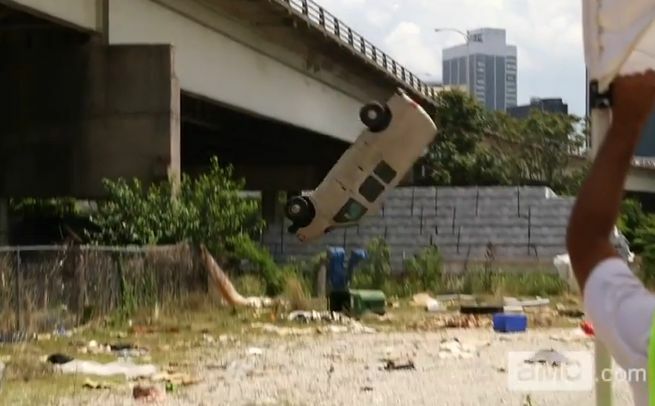 In a recent episode of The Walking Dead, a van was pushed off of a bridge and flipped once and landed upright, on all four wheels. Assumption: the ground and cliff are both flat. Will a vehicle always land on all all four wheels, or is it completely case by case? Does the size of the vehicle matter? Does driving vs. slowly falling make a difference? No, cars/vans generally will land front-first or on the roof. This is due to the fact that once the front-end of the car starts going over the edge, a torque (due to gravity) induces a rotation on the vehicle. Most highways and bridges around are small enough that the car/van can only rotate a quarter or half turn (which corresponds to the front and roof respectively). There are some bridges in the US that might allow for a full rotation due to it's height, but the fall would certainly kill you (regardless of your buckling yourself) due to the sudden stop at the end (see this question for more on that). This link shows the actual attempt at the fall. It falls precisely as stated above: the engine pulls it down and it lands on its back. The screenshot below shows the first attempt at the fall. (source). So the production crew used a crane to drop it vertically. Chalk this one up to movie magic. Not in general. Think of it like this: when the car drives off the cliff, at some point it has a portion of it falling and consequently rotating due to torque exerted by gravity while the other end remains at its original height due to normal forces. As a result, the car will tend to have some sort of rotation as it falls. Thus, the height of the cliff would play a role insofar that it must match up with the distances required for full revolutions of the car's rotation. The physics here is simple, but it suffices to show that it is certainly not always the case that the car falls upright. Moreover, the speed at which the car is being driven ought not to matter under the assumption that the cliff is flat. Indeed, mass effects could be significant given drag forces, but they're not necessary to show that the claim doesn't hold in general. In general a two-axle vehicle driving off of a abrupt edge will tumble back-over-front on the way down. Which way it lands therefore has to do with how fast it tumbles and how long it tumbles for. The reason for the tumbling is because for the time it takes to drive the distance between the axles, the back axle experiences the normal upwards force from the ground, but the front doesn't because it has already gone over the edge. This upwards force on the back without a corresponding upwards force on the front is a net torque causing rotational accelleration so that initially the front goes down and the back up. To a point, the torque is inversely proportional to speed. If the speed is too slow, then this approximation falls apart since the rear moves up a significant amount during the torque time, which therefore reduces the torque over time. In the extreme case, the front falls far enough so that some part of the body touches the lip of the precipice, but I think from your question we can assume the car is going fast enough for this not to happen. Wether the car will land on its 4 wheels or not is subjective to the cars centre of mass and the height of the cliff. As soon as 2 of the car's wheel are of the cliff , the car is not in equilibrium. 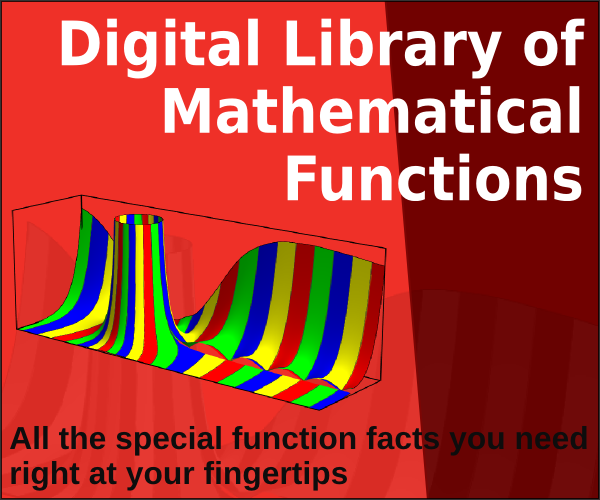 Therefore the car will tilt toward the front and then depending on its centre of mass tip over and complete an entire flip. The time taken for an entire flip of the car will decrease as the car goes down the cliff due to the gravitational field strength and depending on the height of the drop, the car might land on its four wheels, or not. Not the answer you're looking for? Browse other questions tagged newtonian-mechanics newtonian-gravity free-fall or ask your own question. High speed does not kill. Does acceleration do it ? or jerk? Will a free-falling rod (without drag) rotate? Will the gravitational pull of air affect the falling rate of an object? What will happen if Gravitational force go off! If a bullet is shot up in the air off a cliff, will the final velocity be greater?